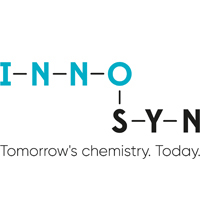 The DSM Innovative Synthesis Research Center, which was a part of DSM Chemical Technology R&D BV, is since May 1 an independent company, named InnoSyn BV. As an independent company, InnoSyn BV can further grow its business at Brightlands Chemelot Campus in Sittard-Geleen (NL). DSM has transformed its business to a more resilient and focused portfolio. As a result, the role of the Research Center Innovative Synthesis in DSM has also changed. InnoSyn BV will be an innovative partner for customers, using state-of-the-art technology in R&D for new and existing chemical processes. InnoSyn BV will continue to deliver high-end chemical process R&D services to customers, from lab scale, pilot scale including implementing industrial scale, e.g. at customer facilities.